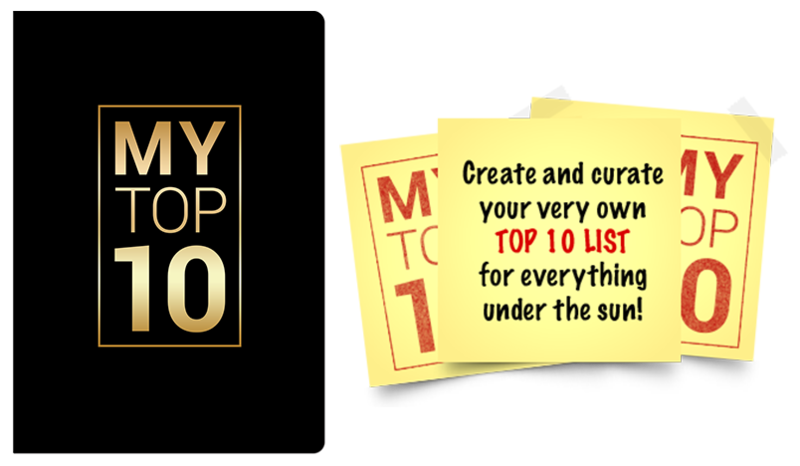 Create and curate your very own top 10 list for everything under the sun! 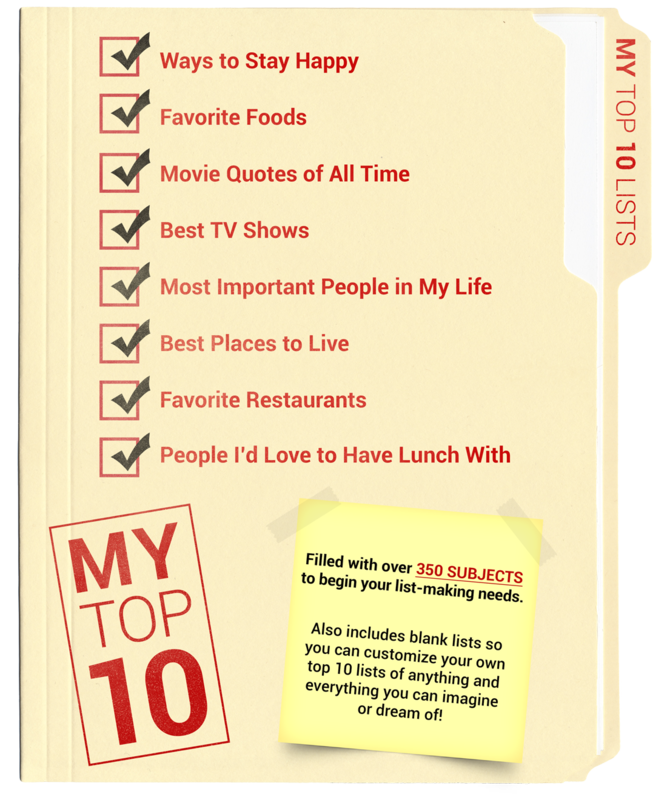 Filled with over 350 subjects to begin your list-making needs. 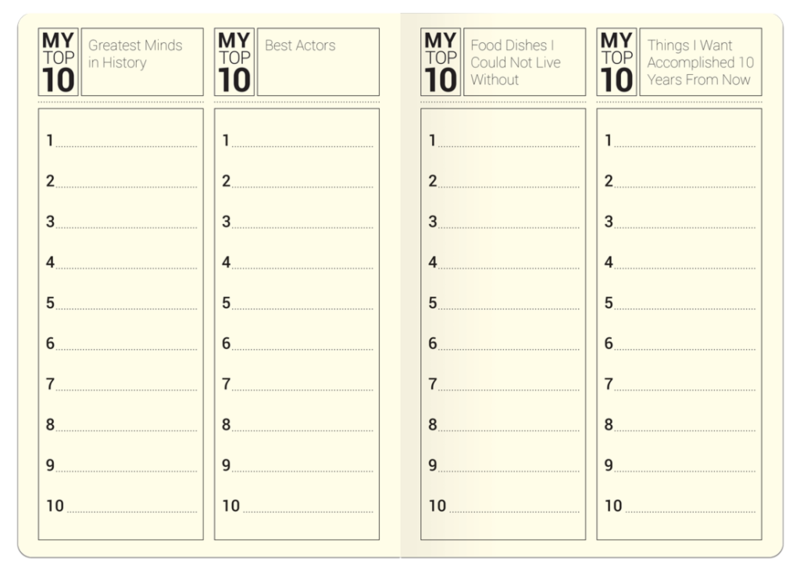 Also includes blank lists so you can customize your own top 10 lists of anything and everything you can imagine or dream of!